This silver piece of two, also known as a two reale, was recovered from the historic shipwreck El Cazador which mysteriously disappeared in 1784 off the coast of Louisiana. 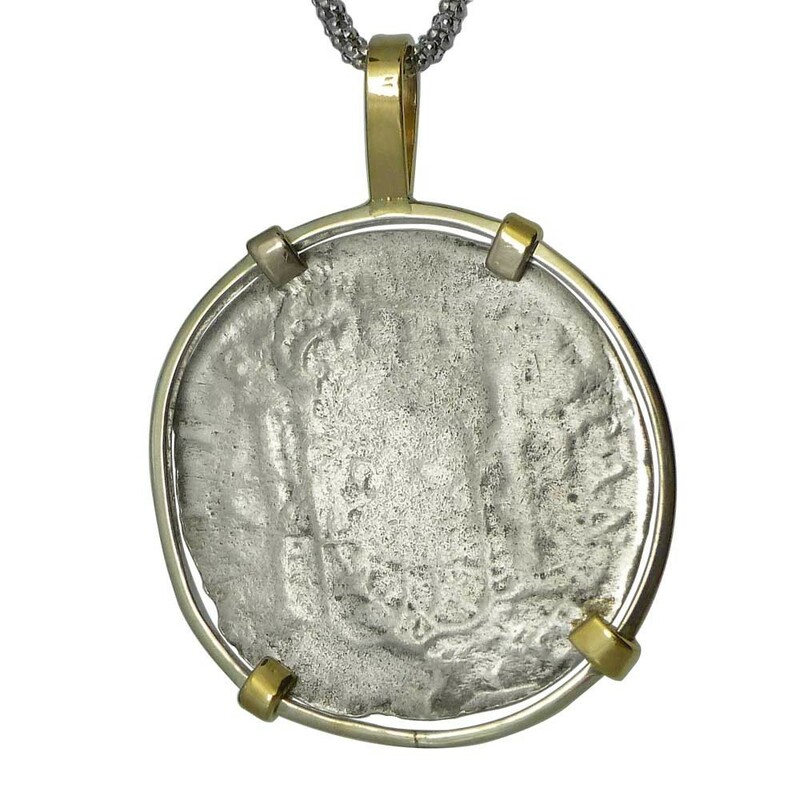 We have set this 1783 silver coin in a handcrafted frame of sterling silver and 14kt gold. Like most shipwreck coins this shows interesting saltwater corrosion that developed from being on the floor of the Gulf of Mexico for over 230 years. 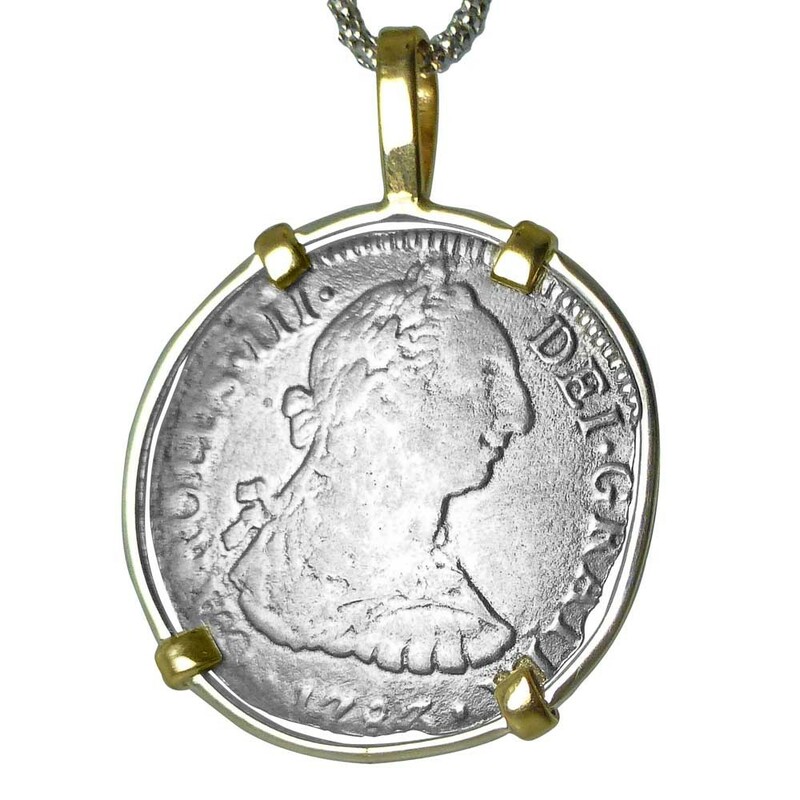 The size of this piece, 1.15" in diameter, is great for either a man or woman that want a slightly larger coin. You can choose your style and length of necklace. Your gift boxed pendant comes complete with an independent Certificate of Authenticity and our descriptive brochure about this famous shipwreck. We will also enclosed the original Numismatic Guarantee Corporation holder that we removed the coin from prior to setting in your pendant. Read more about this famous shipwreck here.